Sterling United Methodist Church is active in mission and service in Sterling and surrounding Northern Virginia communities. Below are listed some of the ways we engage in ministry to our neighbors. On the 2nd Saturday of every month we provide food and clothing for those in need in our community. Doors open at 7:00 AM. Distribution runs from 8:00 – 10:00 AM. There are opportunities to serve on Friday for clothing and food set-up after 4 p.m., and on Saturday for distribution and clean-up. Each month we have a “bucket list” item of requested donations. Donations can be brought to the church lobby by Gallihugh Hall. , or call the church office at 703-430-6455. Every month during the school year, on the Sunday following the GRACE Ministries food distribution, we pack about 150 backpacks with food for children in need at Rolling Ridge Elementary School. 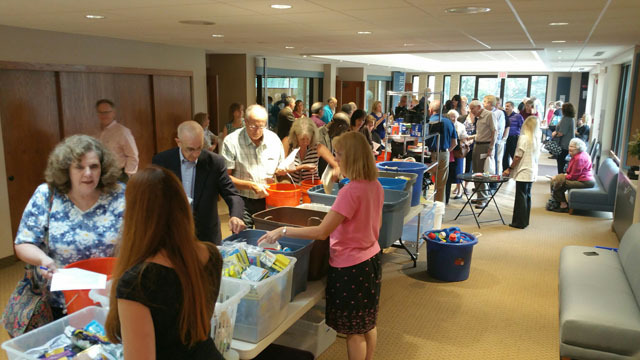 The packing of the “backpacks” is performed as part of our SERVE activity during our Growing Deeper at Ten hour allowing the whole congregation to be involved. 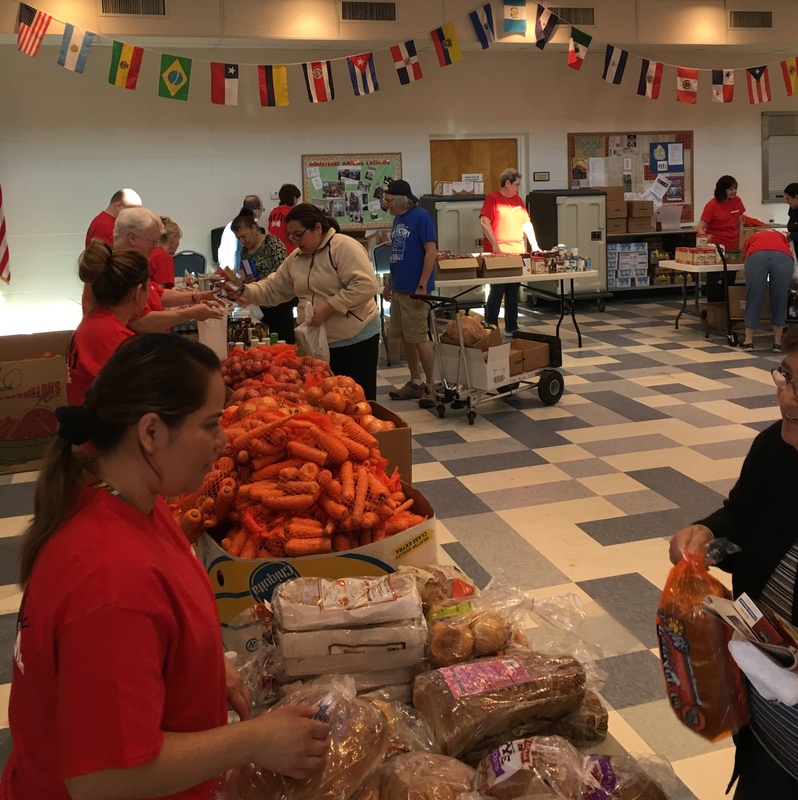 Food Distribution – Periodically during the year, Sterling UMC volunteers participate in LINK home food delivery. Coat Drive – In November the people of Sterling UMC collect, sort and distribute well over 1,000 coats and many more hats, gloves, and scarves to people in need in our community. Diaper Drive – Each fall we have our “Operation Keep ’em Covered” diaper drive to support the Link diaper bank. LINK provides breads and pastries to us monthly for our Grace Ministries distributions. On Christmas Day we honor those in our community who serve tirelessly to keep our community safe. We deliver cookies and other goodies to the local fire stations. police stations and hospitals. Volunteers are needed to prepare baked goods, coordinate the event, and to make the deliveries. DeShong’s Gift Back is a local non-profit organization run by church members Jane and Vini Short. DeShong’s Gift Back has several community gardens, and they grow produce throughout the growing season to support local food pantries, including our own Grace Ministries. Many volunteers are needed to tend and weed the gardens and harvest the crops. Offerings collected at the communion rail are used to support our Benevolence Fund. We work closely with Loudoun Cares and other local charities to provide for the needs of those in our community who find themselves in difficult financial situations and need special assistance.